LOVELY & UPDATED 3 BR, 2 BA MOVE-IN READY home w/ 100 FEET OF LAKEFRONTAGE ON SKI LAKE GEORGIA! This property is ZONED FOR WINTER PARK HIGH & Sits on over a 1/2-ACRE LOT w/ NO HOA! 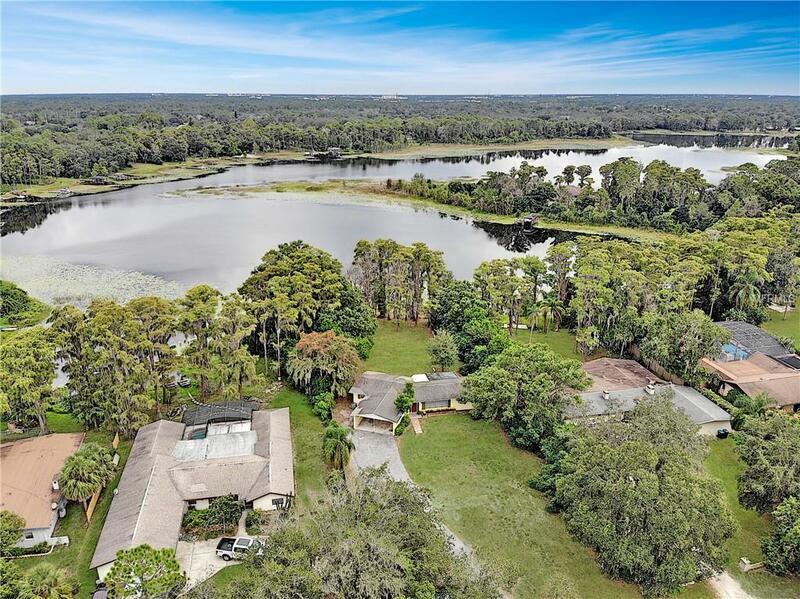 Beautiful Cypress Trees line the back yard leaving gentle open spaces for you to enjoy the pristine Lake View from practically every room in the house! Inside the house you can enjoy the easy care of Terazzo floors throughout & admire the lovely Crown Molding in many rooms! The UPDATED Kitchen features Stainless appliances & Granite Tile Counters! Both baths are updated w/ newer shower/bath tile, new tub, fixtures & more! Thereâ€™s plenty of living space w/ a light & OPEN FLOOR PLAN; Natural SUN LIGHT streams into every room in the house! The inside laundry closet includes a newer W/D! Thereâ€™s a deck built on the back of house where you can enjoy the SUNSET VIEWS or you can stroll down to the BOAT DOCK for a closer view of the Lily pads! The Spacious 2-Car Carport could easily be enclosed as a Garage & thereâ€™s a storage area inside the carport. Thereâ€™s plenty of room to add a Pool or add onto the back of the house or even add a 2nd Story! Great location 10 minutes to UCF, the Research Park or Full Sail & only 20 minutes to Downtown Winter Park, Downtown Orlando or the Airport! Only minutes to the 417 for easy commuting anywhere! This is the perfect PRIVATE & AFFORDABLE Lakefront home youâ€™ve always wanted...bring your boat or jet ski & you'll be set for a perpetual STAYCATION! Seller will put on a NEW ROOF w/ Acceptable offer.